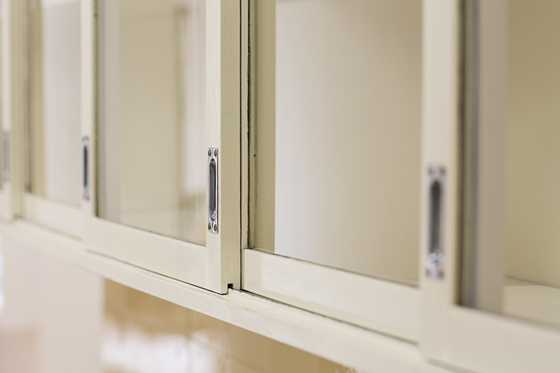 Before the smart kitchen came the standardised kitchen. 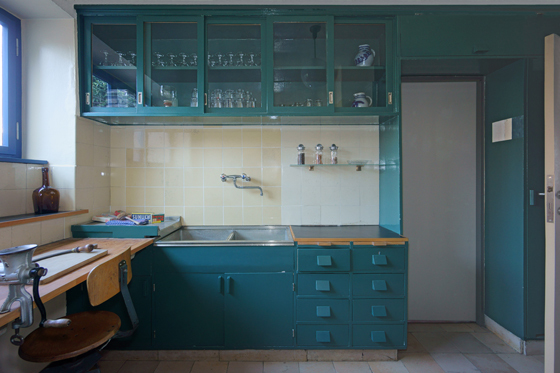 No one did more to shape the landscape of this most-essential of domestic spaces than Margarete Schütte-Lihotzky, with her 1926 Frankfurt Kitchen project. 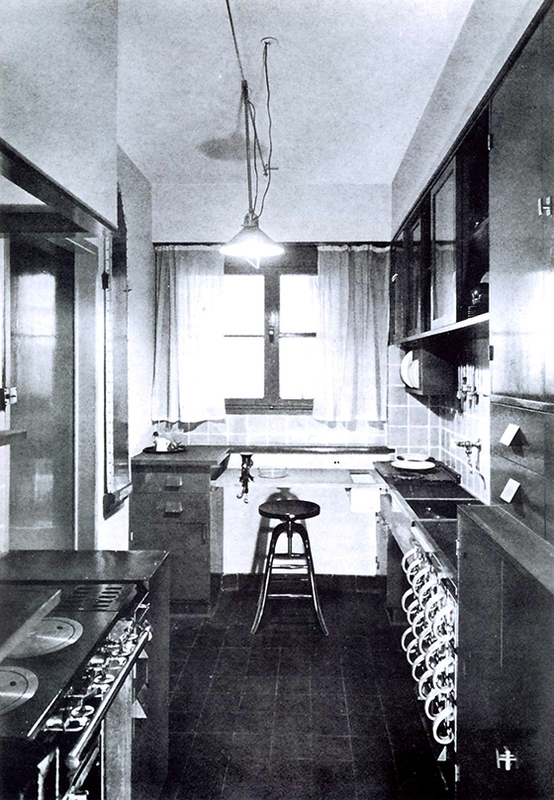 The first woman in Austria to complete her architecture studies, Margarete Schütte-Lihotzky designed the so-called Frankfurt Kitchen in 1926 while working for the 'standardisation' department of the Frankfurt civil engineering office as a specialist for the kitchens in the New Frankfurt housing estates. 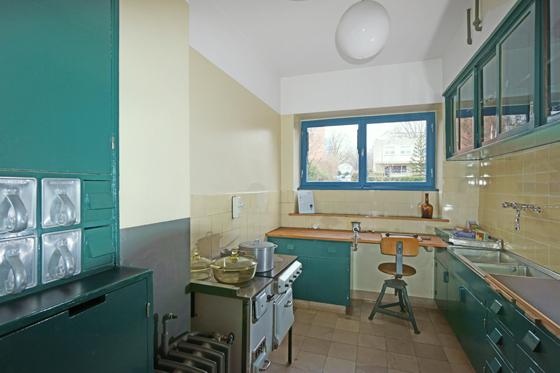 Schütte-Lihotzky aligned her kitchen with the main tenets of Bauhaus design, aiming for a rational, efficient space where form was in perfect concert with function. The modernist aesthetic, which sought to remove unnecessary design elements, and reduce an object to its essentials, dovetailed with the desire to self-optimise as well. 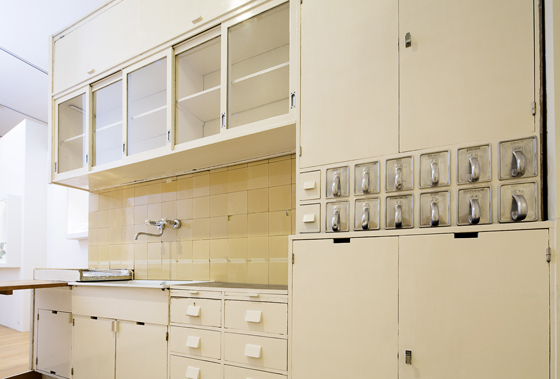 Inspired by Christine Frederick’s 1913 book ‘The New Housekeeping: Efficiency Studies in Home Management’, Schütte-Lihotzky set out to help women, the primary occupants of kitchens at the time, work less. She employed FW Taylor’s system of ‘scientific management' to analyse work extensively processes in the kitchen, conducting time-motion studies and interviews with future tenants to ensure a design for maximum efficiency. 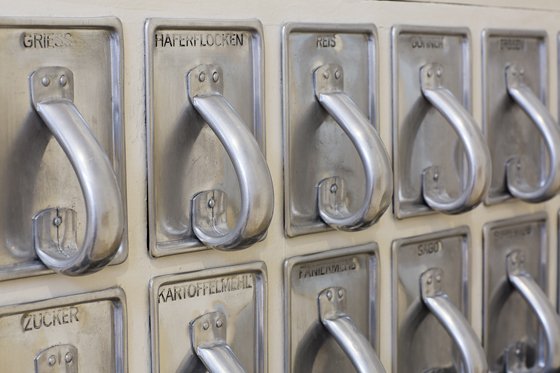 Besides costing less, the Frankfurt Kitchen’s standardised design streamlined work processes, saving precious time and effort, just like in a factory. With its reduced size and improved functionality, its layout created a seamless workflow, turning the kitchen into a quasi-laboratory rather than a living space. Instead of standing at the sink, women were given a work table and a swivel stool; instead of messy surfaces, food stuffs could be stored away in modular, aluminium storage containers. Thanks to their new ‘smart’ kitchens, users' time and energy was freed up to a certain extent for other pursuits, within or outside of the home. 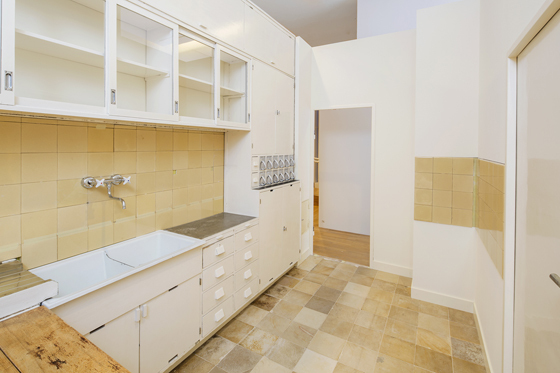 Between 1926 to 1930, around 10,000 kitchens were realised in three different versions to accommodate the variously sized flats of the New Frankfurt estates; and nowadays reproductions can be found in several museums, including the MAK Vienna and Frankfurt’s Museum Angewandte Kunst. The Frankfurt Kitchen was just one way in which the amount of domestic labour for women in the pre-war period was reduced, performing an emancipation of a kind. With bold design concepts that don't forgo functionality, a number of recent, architecturally led kitchen projects underscore the trend for seamlessly integrated cooking and living spaces. The saying 'It's not just a job, it's a lifestyle' takes on a whole new meaning with our latest survey of co-working spaces from around the globe. The interdisciplinary architecture and design firm Perkins+Will is pioneering holistic health initiatives, building spaces that promote wellness for individuals and communities at large. With HAWA Suono, the Swiss manufacturer HAWA Sliding Solutions opens all (sliding) doors to a life without disturbing noise and odours.